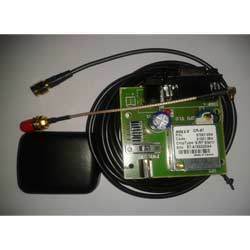 Our organization is dedicatedly engaged in supplying and trading highly qualitative GPS Receiver. 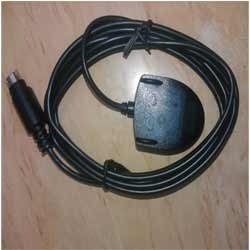 The range we offer under this category includes GPS Gmouse Mini GPS Receiver GPS Module / Receiver and GPS External Active Antenna. All the offered products are highly in accordance with the global quality standards and norms and delivers reliable performance under extreme industrial conditions. For meeting the diverse requirements of the customers, we provide these products in varied specifications..
With the aid of advance technology, we are able to offer the customers with specifically designed GPS External Active Antenna which work in proper sync with the MTK GPS module. Owing to its water-proof design, our product is performs well in tough terrain and environment and maximizes the potential of GPS with exceptional signal reception. We offer this module with a SMA connector format of length 2.5 meter and along with an embedded magnet at the bottom for easy mounting on top of automobiles. 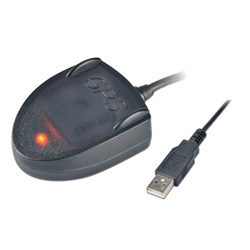 The Mini Gmouse GPS Receiver(USB) is a low cost High sensitivity GPS module + Internal Antenna with USB connector. It is a Stand alone GPS receiver providing a solution that high position and speed accuracy performances as well as high sensitivity and tracking capabilities in urban conditions .Just Plug the module to your LAPTOP and you will get GPS data in Standard NMEA Protocol format with current time, date, latitude, longitude, altitude, speed and travel direction/heading among other data and navigate through the cities! 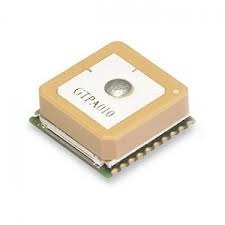 Our offered GPS Gmouse Mini is a highly sensitive low cost GPS module plus internal antenna with a PS2 style connector. These systems are highly reckoned for thier high position, accurate performances, high sensitivity and tracking capabilities in urban areas. These modules are just needed to be power with 5V and immediately provides the GPS data in standard NMEA protocol format with current time, longitude, altitude, date, latitude, speed and travel direction/heading. The GPS chip fitted inside the modules are designed by leading digital medium provider company, Media Tek Inc.. 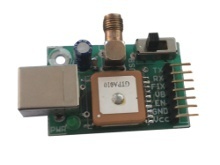 These module The GPS solution enables small form factor devices and can support up to 66 channels. GPS gmouse mini delivers major advancements in GPS performances, accuracy, integration, computing power and flexibility. Designed to simplify the embedded system integration process, these modules are the best choice for designing the GPS related products. A USB GPS Module built using the MT3329 chipset from Media Tek Inc. 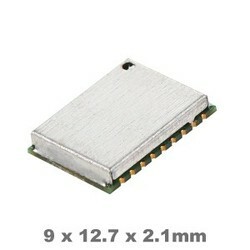 This GPS module comes with a patch antenna and has good sensitivity wand tracking capability.It can track 66 channels. It outputs data in standard NMEA format at an update rate of 1 second at 9600 bps. The module comes with USB and Serial TTL Interface. When connected through USB, the module creates a Virtual COM port on the computer and outputs data to the port. Most porgramming languages allow users to write programs that access the COM port and users may easily write custom software that use and process this data. The module also supports serial interface through the header pins. You can easily power the board at 3V3-5V and get the current location data though the TX line. The module also has an onboard SMA Connector which can be used to connect an external 3V antenna for better reception. The module automatically detects an external antenna and uses it with no user intervention required. Outputs data in standard NMEA-0183 @ 9600bps at update rate of 1 second.